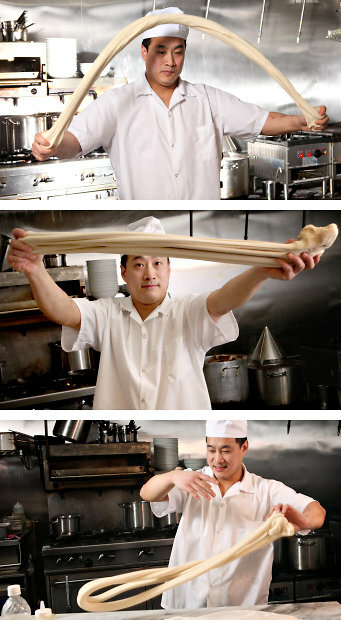 The cover article of today's NY Times Dining section features the artistry of stretching dough to make Chinese noodles. Highlighted is a restaurant in NYC's East Village, Hung Ry, noted for both its exceptional food and craft of noddle making. The star attraction is Chef Huacan Chen, whose expert noodle stretching technique is played out in an open kitchen for all patrons to experience. Open since the Fall, Hung Ry has quickly earned a foodie buzz and developed a loyal following, having also been noted in an article in the February issue of Vogue magazine, String Theory. Click on this LINK to watch Chef Chen in action and check out more below. Since I am a sucker for nostalgia, I've included below a vintage video clip from Sesame Street. 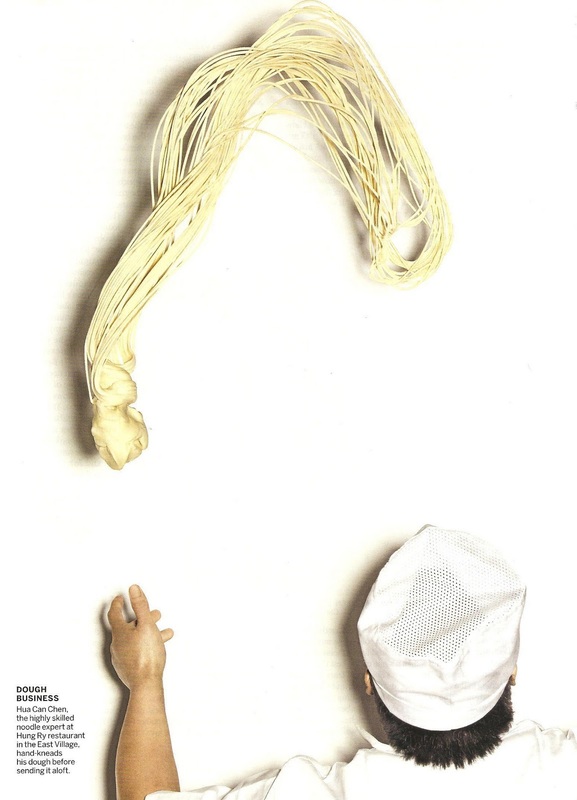 Its from the late 1970's and I will always remember watching this as a child, listening to this young boy narrating film of his father making the dough for Chinese noodles.